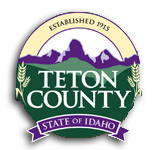 Teton County Emergency Management is requesting Bids from Electrical Contractors for the purpose of providing construction services related to the installation of manual transfer switches to seven facilities/structures for portable generator connections. Bid documents, including electrical plans and specifications, will be sent to interested parties upon request to Greg Adams at gadams@co.teton.id.us or call 208-354-2703. Bids shall be submitted to Greg Adams at gadams@co.teton.id.us or mailed to Teton County, 150 Courthouse Drive, Driggs, ID 83422 by February 20, 2019 10:00am from qualifed Public Works Licensed Contractors. A Pre-Bid Conference will be held on Feburary 12, 2019 at 9:00am at the Teton County Annex Building, 547 N. Main Street, Driggs, ID. Attendence is recommended for all Biders.